Hugh Jackman is no longer our Wolverine and, in the not-too-distant future, a new actor will be taking on the role. Only this time, it's going to be someone who will be starring alongside other members of The Avengers in the Marvel Cinematic Universe. It hasn't been revealed who that person will be or when it will happen, but producer Lauren Shuler Donner says it's expected to happen. Lauren Shuler Donner has produced every X-Men movie since the very beginning. She and Marvel Studios President Kevin Feige worked together as producers before he moved on to his current position. Doner recently spoke at the Television Critics Association press tour, Donner said that Feige will indeed be looking for a new Wolverine once the Disney/Fox merger is completed in the coming months. Here's what she had to say about it. "Yes. I don't know what Kevin's thinking honestly. I don't even think Kevin knows. I think Kevin's still dealing with this wealth of characters and trying to make sense of them." Disney has been working out the details over their massive purchase of Fox and the deal is expected to close in the coming months. At that time, Disney will own the X-Men and Fantastic Four franchises. Kevin Feige will then be in charge of those characters' future on screen. It was always expected a new Wolverine would come our way when that happened, but this seals it. 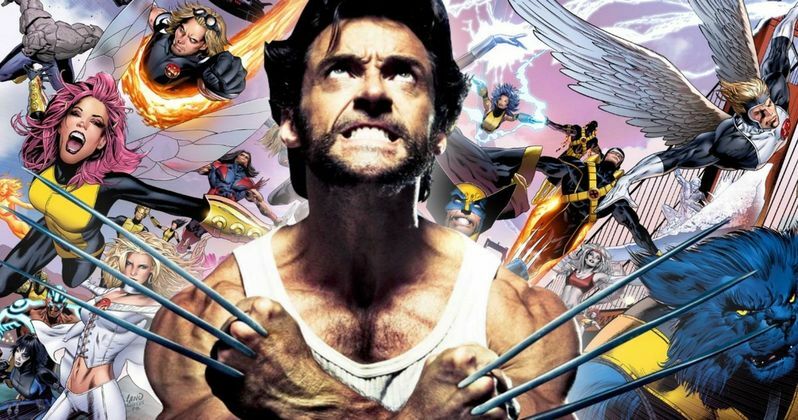 Donner then also confirmed that Disney and Kevin Feige will be making all future decisions as it relates to the X-Men. "That would be between Fox and Disney. Obviously, Kevin and I started the first one. He worked for me. He's got a great story sense. He's got a great ability to weave each world and weave those worlds together. I trust him and I trust that he will take care of the X-Men." Unfortunately, those hoping to see Hugh Jackman show up one last time as Wolverine in a surprise cameo in Avengers: Endgame, or in that Deadpool crossover movie Ryan Reynolds wants so badly, need to quit holding out hope. Jackman has repeatedly said Logan was his last turn as the fan-favorite mutant. Lauren Shuler Donner echoed that in her new statements, saying that the actor is simply past that point in his career. "Yes, because Hugh, just the physicality of it all, just to bulk up. This man worked so hard to bulk up, would get up at four in the morning to bulk and eat protein meals every two hours because his natural state, they used to call him Worm when he was a kid. So his natural state is a very skinny guy. Once you reach a certain age, the body just won't go anymore. I think he was wise to say, 'I'm at that point. I can't do it.' Now, that doesn't mean he can't come back as older Wolverine. You never know. Future Wolverine, you never know." When last we heard, the Disney/Fox deal is expected to close in June. That means the upcoming Dark Phoenix and the highly troubled The New Mutants will be the last X-Men movies of the Fox era. Wolverine won't be in either of those movies (as far as we know) and, beyond that, eventually, the mutants will be folded into the MCU. It's the future Marvel fans have wanted for a very long time. This news was previously reported by Slash Film.